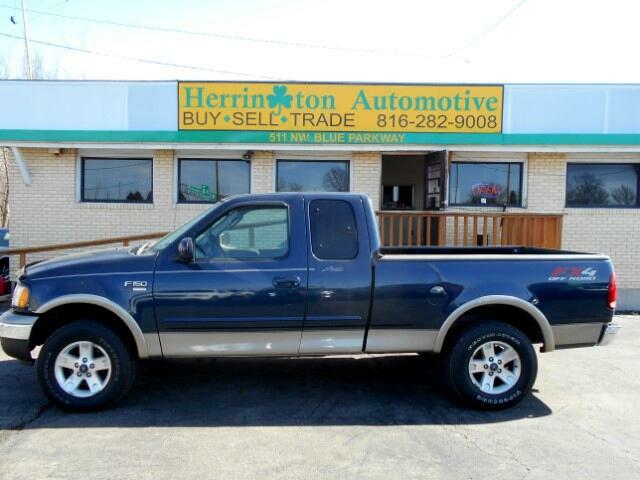 That reliable affordable pick up truck that you have been looking for is right here at Herrington Automotive. 2003 Ford F150 Supercab Lariat that is loaded up with options like leather interior alloy wheels power seat power locks power windows FX4 package bed liner running boards and more. This truck will not last long. Call us today at 816-282-9008.